Hut, hut, hike! 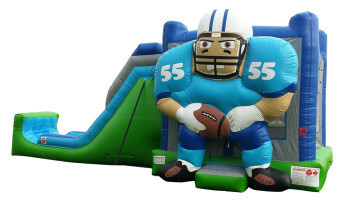 Sports fans and football aficionados will cheer at the sight of this jump and slide football inflatable. Available wet or dry, this bounce house is the perfect touchdown for your next big game day event or little athlete’s birthday party.